In 2017, my most exciting destinations had little to do with food. That’s not to say that I didn’t have any good food. Rather, finding good food wasn’t my priority. So, there are no dark horses for me to champion this year; no surprises to report. You’ll find no exciting news here. On the bright side, the tried remained true. I continued to eat very well where I have eaten well before. And that consistency and reliability is rewarding. I realize that finding the same handful of restaurants being celebrated in this annual post, year after year, may be boring. (You’d probably be able to guess my favorite meals based on my favorite dishes and desserts of 2017 anyway.) But since I make this annual commemoration more for myself than you (the fact that I’m publishing it at all – especially now, two months into the new year – is a sign of my personal commitment to the exercise), I, quite simply, don’t care. You’re free to skip it altogether. I wouldn’t blame you. However, before I get on with the quick and brief list of my favorite restaurant meals of 2017, I want to make note of one particularly bad meal I had last year. Those who have read this blog for years know that I do not make a habit of maligning restaurants unnecessarily or maliciously. And, while I wish to avoid doing so, the absurdities of our present, culinary industry make honest criticism not only unavoidable for me, but imperative. Keep in mind that most of what I offer here is opinion. And, as much as I am able, I try to share what I believe to be well-informed and well-reasoned opinions. 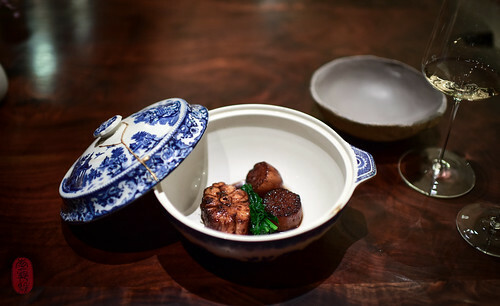 With that in mind, I eagerly go on record here to say that my dinner at Gaggan (located in Bangkok, Thailand) in September of 2017 was one of the worst meals I’ve ever had, and certainly the worst meal I’ve had in the last half decade. I take full responsibility for foolishly walking into the restaurant not knowing anything about it. This is one instance where my desire to experience restaurants with as little prejudice as possible completely backfired. Had I an inkling of how horrifying the experience would be, I would not have gone. I’m too old and have suffered through too many bad meals for that. What unfolded was a gimmicky, 25-course “emoji menu” (it’s what you think it is – every course based on an emoji symbol), most of which I would describe as bad, some of it inedible. If you’re going to make me lick my plate – inspired by the KISS song “Lick It Up,” which the restaurant played during this course, it was served to us without utensils – at least make the food worth licking. The dung-colored mushroom purée was cold. Most of the courses, like the oversized wasabi-yuzu “Minion” popsicles (yes, based on the jaundiced, goggle-eyed creatures from the Despicable Me series, which has since spawned their own franchise) were so bad they weren’t even cute or fun. At every turn, cleverness was chosen over flavor and quality of cooking. This is fundamentally repugnant to me and, needless to say, this is not the way I like to eat. At best, it’s childish dinner theater, perhaps more-appropriate for a themed birthday party for ten year-olds. Gaggan is currently ranked number one on the “Asia 50 Best Restaurants” list. That’s a damning indictment against the voters in that system. Notwithstanding the millennia of culinary history of the Asian people, this is the height and hope of their culinary achievement today? If this isn’t deeply insulting to chefs all over Asia, at the very least, it’s insulting to me as an Asian-American, who was raised by proud immigrants with deep, culinary traditions. Lest you misunderstand me, I’m not saying that recognition in Asia should be narrowly limited to restaurants serving traditional, Asian food. I’m saying that (1) the very premise of assigning the title of “best” to any restaurant is absurd (this is hardly a new complaint from me); and shame on the media for perpetuating this insulting claim – please stop referring to Gaggan as the “Best Restaurant in Asia” as if that were fact, or even a universally held opinion (capitalizing the “B”(est) and “R”(estaurant) doesn’t make it better); and more to the point, (2) even if I were to accept that premise, Gaggan is far from the “best” of anything, in Asia or elsewhere. I believe that restaurant critics should, above all, be consumer advocates. To what end do they critique if not to acknowledge and reward the good and warn and dissuade from the bad? I am not a restaurant critic in the formal, journalistic sense of that term. But to the extent that I have eaten at more restaurants than most professional critics, and generally use my little podium here on the interwebs to advocate for the places I think consumers should be consuming, I will step out of my cheerleader outfit for a moment to insert this caveat emptor: Regarding Gaggan – which the chef Gaggan Anand has announced will be closing in 2020 (he’s relocating to Fukuoka, Japan) – you have been warned. As in 2015, this year I’ve chosen to recognize five restaurants that gave me the most pleasure in eating. I have been to all five restaurants more than once in my life, and in 2017 alone, I visited two of them multiple times. Like last year, I make my disclaimer brief and simple: I paid for meals at three of the five restaurants below. The remaining meals were either gifted to me, or included in photographic work that I did for the restaurant. As well, my long-standing friendship with a few of these chefs is well-documented and disclosed on this blog. This kind of transparency is important. 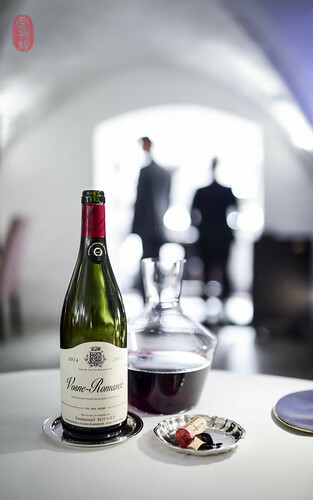 There are few places like l’Ambroisie, and fewer chefs like Bernard Pacaud left in our world. I wrote about my dinner here in 2017 in this earlier post about my trip to Paris. If you can, go. I ate at The Charter Oak five, maybe six times in 2017 (the restaurant opened in June of that year). I relied on it so many times for a convenient weekend dinner during the Twelve Days of Christmas that I lost count. It’s not fancy, but it’s very good. In the summertime, there were juicy slabs of tomatoes on thick slices of housemade bread paved with butter; sweet corn grilled on the hearth; and a terrific blackberry-lime clafoutis. 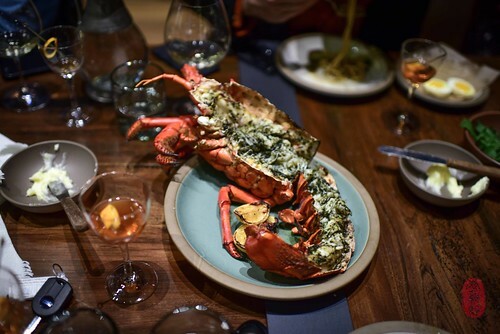 In the wintertime (which might as well have been summer to this Midwesterner), I had giant spiny lobster served with garlicky “babka,” and a shameless number of the restaurant’s double-decker burgers. 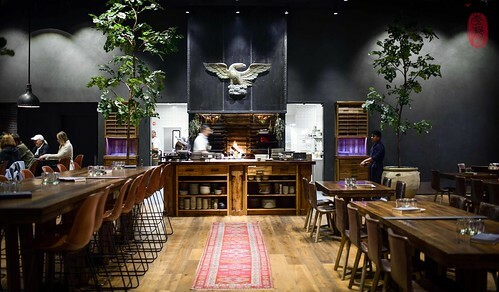 To the extent that a restaurant can earn my favor through consistently high-quality cooking, The Charter Oak, under chef Katiana Hong, did so effortlessly. Napa desperately needed a restaurant like this. What will become of The Clown Bar now that chef Sota Atsumi has left? 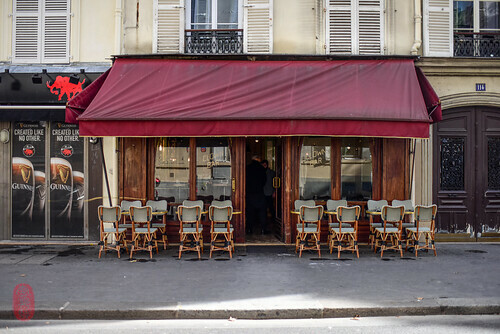 I’m thankful to have had one more meal there with him in the kitchen (you can read about my lunch there in October in this prior post about my latest trip to Paris). I look forward to experiencing his cooking when and where he reappears. There’s nothing I can say about this very special restaurant that I haven’t already said before. 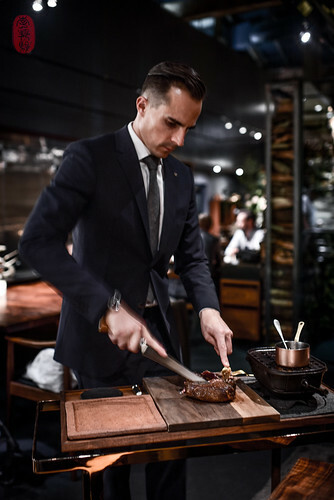 Under Mark Lundgaard Nielsen, Kong Hans Kælder is a renaissance of cooking. 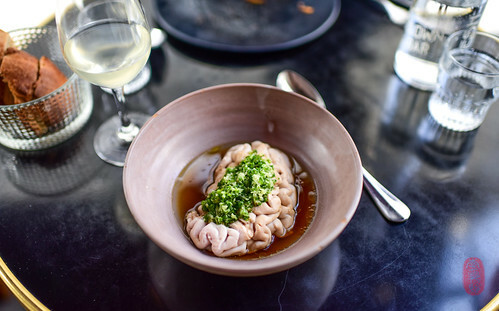 I had five dinners at Saison in 2017, and the least of them bested the best elsewhere. 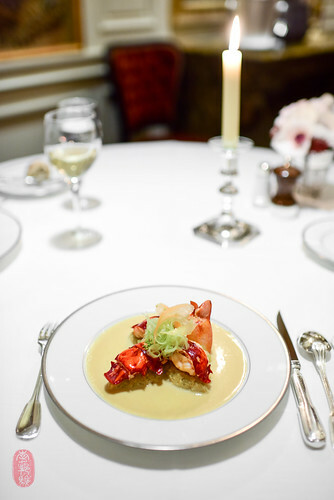 For the eighth year in a row, Joshua Skenes’s restaurant remains among the very best of what I get to experience in dining. I bring forward a few items from previous years on my annual bucket list. And to them, I add a few new entries. I traveled to five new countries last year: Cambodia, South Africa, Thailand, Zambia, and Zimbabwe, bringing the total number of countries I’ve visited to 47. In 2018, I’d like to bring the total up to 50. I’m taking a serious look at the three Baltic states (Latvia, Estonia, and Lithuania) – if you have recommendations, please send them. As well, I bring forward a number of destinations I’ve mentioned before: Russia (St. Petersburg), India, Colombia, Peru, and Scotland; to which I add New Zealand, Vietnam, South Korea., and the Faroe Islands, a Danish protectorate in the North Atlantic. I’ve not been to any of them. By all indices, the American economy is going gangbusters. And there doesn’t seem to be an end to the boom in sight. Paradoxically, this means the U.S. Dollar is sliding abroad. If this continues, our gentle giant to the north – Canada – where the American Greenback is still holding strong, will be a more attractive destination in 2018. It’s been a few years since my last trip there. Out of the 50 United States, Alaska, alone, still remains unvisited. I am eager for any worthwhile destinations and restaurants there. In France, I still have yet to visit Olivier Rollinger’s les Maisons de Bricourt in Cancale; and Régis Marcon’s self-named Régis & Jacques Marcon in Saint-Bonnet-le-Froid. Also, I’m seriously considering a trip to La Maison Troisgros in Roanne. At the southern tip of Sweden, Daniel Berlin Krog in Skåne-Tranås remains unvisited. On the north coast of Spain, Elkano, which has eluded me on two trips, remains a priority. Italy has always intimidated me with its tangle of culinary hyper-regionality. I’ve been many times, but have barely scratched the surface. Perhaps its time I finally dive in and explore. I know I’ll love it. Here at home, I feel like I’ve exhausted my options. Few destinations in the United States entice. What’s new and good? Recommendations are welcomed. 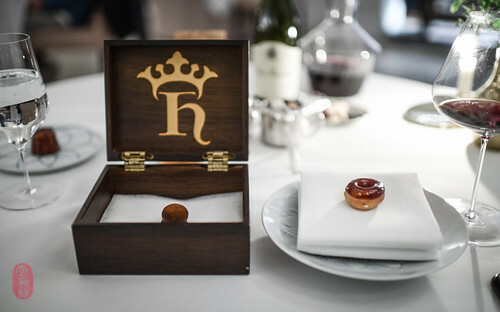 Photos: A sprawl of table under the awning at The Clown Bar in Paris, France; the hearth at The Charter Oak in St. Helena, California; wine service at Kong Hans Kælder in Copenhagen, Denmark; carving antelope table side at Saison in San Francisco, California; lobster with a sauce of anise at l’Ambroisie in Paris, France; a giant, spiny lobster at The Charter Oak in St. Helena, California; calf brains in dashi at The Clown Bar in Paris, France; a glazed donut and chocolate, petits fours at Kong Hans Kælder in Copenhagen, Denmark; monkfish at Saison in San Francisco, California. ~ by ulterior epicure on March 3, 2018. Since you have that raspberry-picture from Saison, I must comment: I had them, too. And they were among the worst things ever served to me in such an acclaimed restaurant (no exaggeration here). I mean: Why on earth would a chef cover ultra fresh, delicious raspberries thick in sugar?? Don’t you find that totally absurd? It killed their natural flavor, all we tasted was sugary sweetness. Peter: While I don’t share your extreme distaste of the raspberries, I do concede that it was not representative of the best of what Saison served me in 2017. For that reason, I’ve changed the photo to reflect the reasons for which I list the restaurant among my favorite meals of 2017. I love your photos and Blog. Will you come to HK in the near future? I’m quite surprise regarding your comments on Gaggan. My meal in July of 2017 at Gaggan was one of my favorite. They did change the menu entirely starting August so I need to return to see how they have changed. Living in SE Asia allowed me to come and see the progress of Gaggan over the years and I have to agree with you in that Gaggan’s dishes can range from anywhere between delicious and absolutely inedible. Augustus: Thanks for the Lithuanian recommendation. Also, I’ve fixed the Instagram link.